When you think of Gubat (Forest), we usually think of luscious greeneries coupled with wildlife. 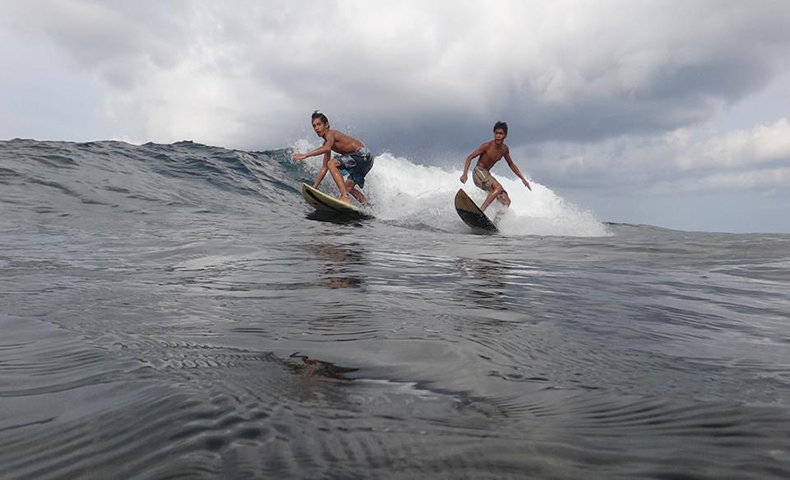 Alon (Waves) never come to mind when we speak of Gubat – except when you visit Lola Sayong Eco-surf Camp. It is a project that started from the humble beginnings of Gubatnons for Adventourism Inc. (GFAI) and the eventual partnership with ABS-CBN Lingkod Kapamilya Foundation Inc. – Bantay Kalikasan, Department of Tourism – Region V and the Local Government Unit of Gubat, Sorsogon. What separates Lola Sayong from most mainstream surf camp is the group of people sharing their passion for surfing while giving back to their community and becoming stewards of hope and love for responsible eco-tourism and the environment. This is evident in their “No School, No Surf” Policy for youths that need supplemental income to support their studies. Some of them are out-of-school youths that were able to go back to school because of this program. 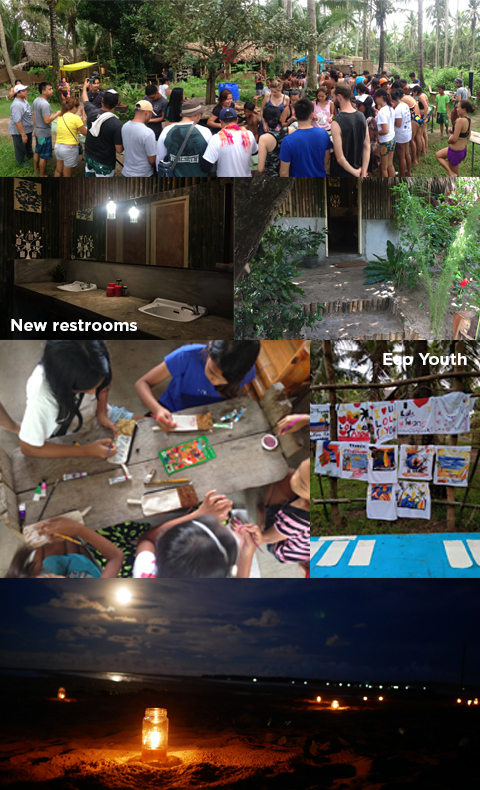 Lola Sayong Eco-surf camp also has their Eco-youth Club initiative that focuses on environmental education to the children of Gubat, Sorsogon. Lola Sayong Eco-Surf Camp recently held their 5th October Swellfest on October 6-8, 2017 with the theme: “Alon sa Gubat”. The swellfest is celebrated annually to mark the start of the surfing season. This year’s swellfest is dedicated to two advocacies, Support for Local Crafts and Responsible Tourism. The swellfest gave importance to craftsmen and local artists through several activities spread out the three days. There was an area for DIY souvenirs using recycled materials, such as driftwood and buttons, and also an area for young local artists to paint on shirts and show their support. Tables were also set up to showcase a local grown brand and the Lola Sayong eco-surf camp branded and designed merchandise. The socials night on October 7 also featured several local bands and singers that serenaded guests while local delicacy and cuisines was served. Several major activities highlighted the theme Responsible Tourism, a kind of tourism that minimizes negative environmental impact while generating greater economic benefit to local communities. During the sunrise of October 8, about 50 people participated in the free the beach run where participants were asked to jog and pick-up trash along the way. 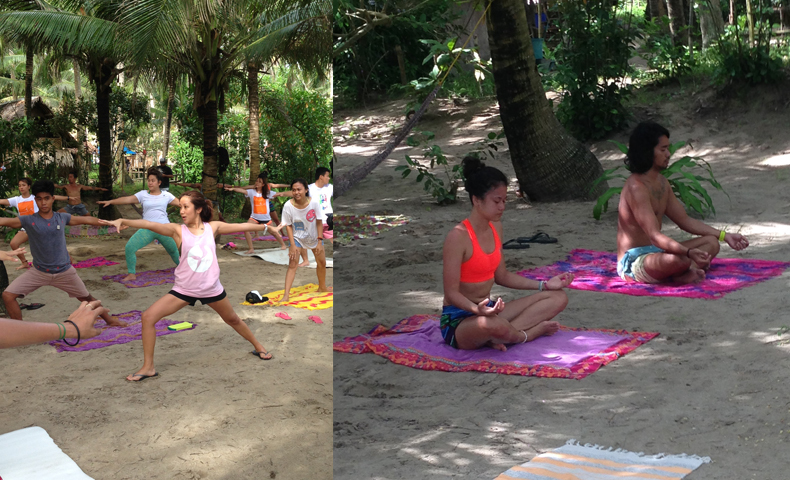 Yoga was also introduced and taught by Nicolette Vicencio Ereñeta that helps in increasing the endurance and energy of surfers. A surf competition among the youth was held after the yoga in which the winners were awarded with cash prizes and accident insurance. The local culture of boodle fight was also celebrated after the surf competition. To add to the joyful festivity, ABS-CBN Lingkod Kapamilya Foundation Inc. – Bantay Kalikasan unveiled Lola Sayong Eco-Surf Camp’s new and improved toilet and shower facilities donated through the partnership with Pass It Forward and Akatek Solutions Inc. The new facility was constructed to suppor the ever growing social enterprise of Lola Sayong Eco-surf camp and the advocacy it promotes. Vida Escauriaga, a local artist, added a local touch to the facilities through wooden artwork. As a give back activity and a way of passing forward the generosity that was received, the members of Lola Sayong Eco-surf camp implemented environmental activities with the kids and leaders of the Gubat Eco-youth Club. For this year, the members of the eco-youth club were provided with recycled materials such as buttons, driftwoods and patchwork that members of the surf camp picked up from the beach. The 5th October Swellfest was not only a festival celebrating surfing; it also became a reunion with regular volunteers that became part of the Lola Sayong Eco-Surf Camp Family.